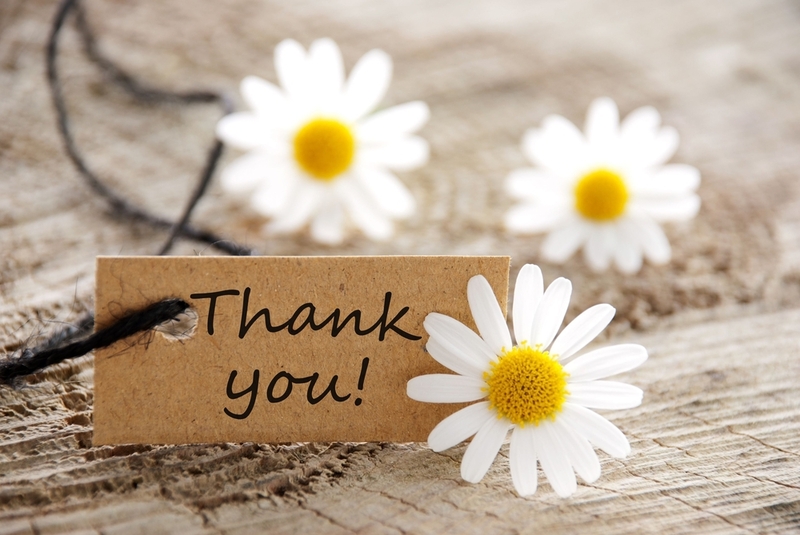 Can you remember a moment in your life when someone surprised you with a thank you? Not because you gave them a gift or did something out of the ordinary, but just because you were doing what you normally do. It is so special to have someone reflect back to you the difference you have made. I sincerely hope you can recall such a moment! It is important to feel appreciated and acknowledged. We work for money and personal fulfillment, yes. But it feels so good when someone takes notice of our work and says so. We offer help and support because we care, and yet a heartfelt thank you can go a long way. It inspires us to continue being open and reassures us that our efforts matter. In this month of Thanksgiving, I am embarking on a Thank You Project. It is very simple. I am going to make a point of saying thank you to the people around me who make my life happier, who generate positive energy, who rise up and do exemplary work, who make me smile and influence me for the better. It can be a verbal thank you, a handwritten note, an email, a text, anything at all. A simple thank you each day. Won’t you join me? My guess is this will uplift our hearts and remind us that there are hard working, generous, positive forces of good all around. In a culture where the air is heavy with negativity, we can loose sight of the kindness, honesty and inspiration abundantly flowing through that very same air. People are out there doing their very best. Let’s celebrate that and in turn, create more of it. Goodness is everywhere, we need only look for it. I see it in you. Thank you, thank you, thank you. Great article Luisa. I agree that there is genuinely much good around us. If we choose to look for it and acknowledge it, it makes our day so much better. Even during bad times, disasters, upsetting diagnosis, inconvenient happenings, we need to look at the good and be thankful. One may say easier said than done, but not really. I’ve lived thru a hurricane destroying our home, the fear of cancer diagnosis, discovering the Wednesday before Thanksgiving that the oven in a house rental in the middle of nowhere was broken… All bumps in the road. Yet always thankful for the people around me who rose up and helped me make the most of the circumstances. Like grilling your 24 pound Thanksgiving turkey, thanks to my husband and sons who figured out we could grill the turkey! Life every day is full of loving caring people who do nice things for us. In turn, I strive to be one of those who cares about those around me and try to make life just a bit better for those around. It may be holding a door open, smiling at a person I’ve made eye contact with, a phone call to check in with family or friends. Most people do good all day long. Acknowledging it certainly makes their lives better and ours, for we look for the good things happening. It truly does bring joy to our hearts. Thanks for sharing those kind words. Beautifully said Maria! Thank you for your words and for the kindness and care that you always offer others. I am lucky enough to have experienced it first hand, many times! Thank you right back to you Madre! Enjoy the month of thanks, I know for a fact that you express your gratitude often and that people feel the love!